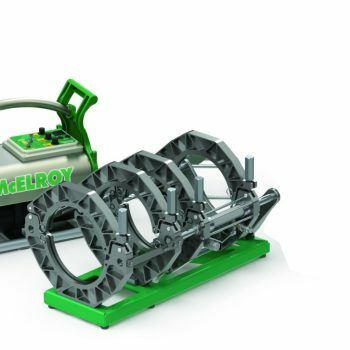 McElroy announces the expansion of its Acrobat™ fusion machine line following its successful launch nearly two years ago. The Acrobat line continues to meet the ongoing needs of the HVAC, plumbing and mechanical industry. 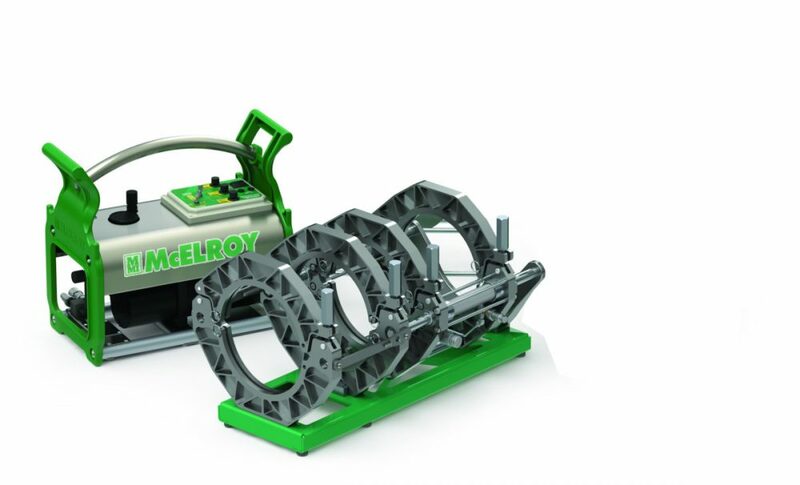 “It’s exciting to design a new line of equipment that makes it easier for operators to work in challenging indoor environments where pipe is fused in very tight spaces,” said McElroy President Chip McElroy. The latest model — the Acrobat 250 — comes with a lighter weight hydraulic power unit (HPU) that is easier to move around the jobsite and consumes less power. A lightweight heater and guide rod latching system eliminates the need to manually hold the heater in place during overhead fusions, reducing operator fatigue. An ergonomic handlebar design makes it easy to use from all angles, even overhead. 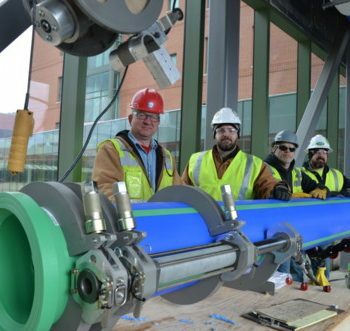 The Acrobat 250 goes a step up in size in fusion capability for 63mm to 250mm (2″ to 10″) polypropylene pipe but offers the same compact design that allows operators to fuse pipe in the confines of the walls, ceilings and floors. 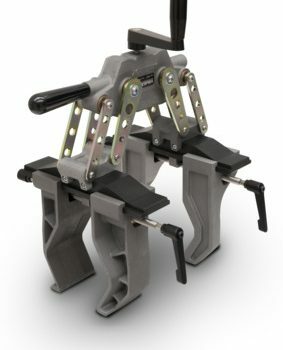 To further reduce its footprint, the carriage can be configured from 4 to 3 jaws without tools. A single-size insert design can accommodate a variety of pipe sizes, and its narrow jaws allow fusions to most flanges and fittings. Visit mcelroy.com for more information. High-resolution photos are available on the Acrobat 250 product page.